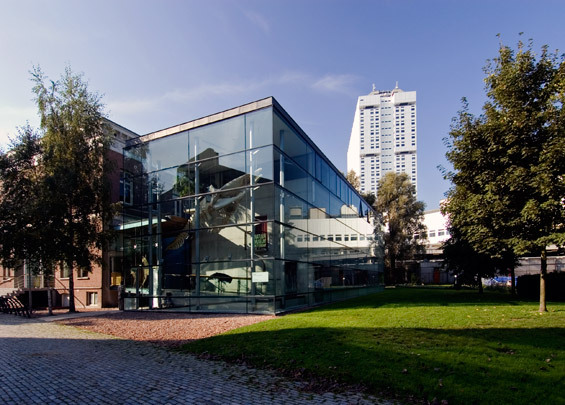 Rotterdam's natural history museum is housed in Villa Dijkzigt, a neoclassical design from 1850 by J.F. Metzelaar and once the Hoboken family residence, and an extension by Erick van Egeraat. The latter, a freestanding rectangular pavilion of glass, concrete and brick, contains the main exhibition space and the library. Footbridges stitch the pavilion to the villa.